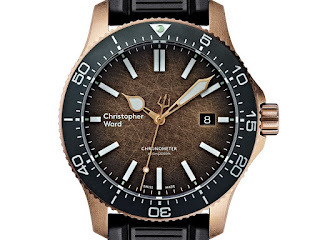 This is going to be a mouthful – this is the new C60 Trident Bronze Pro 600 Ombré COSC Limited Edition watch, the latest C60 Trident BRONZE and one which includes a chronometer-certified Swiss mechanical movement housed inside its Bronze Alloy case. 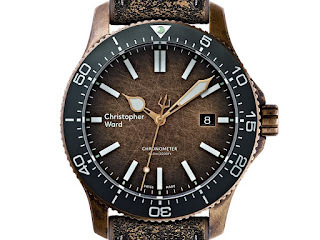 However the most intriguing feature, as well as its name, is taken from its dial. 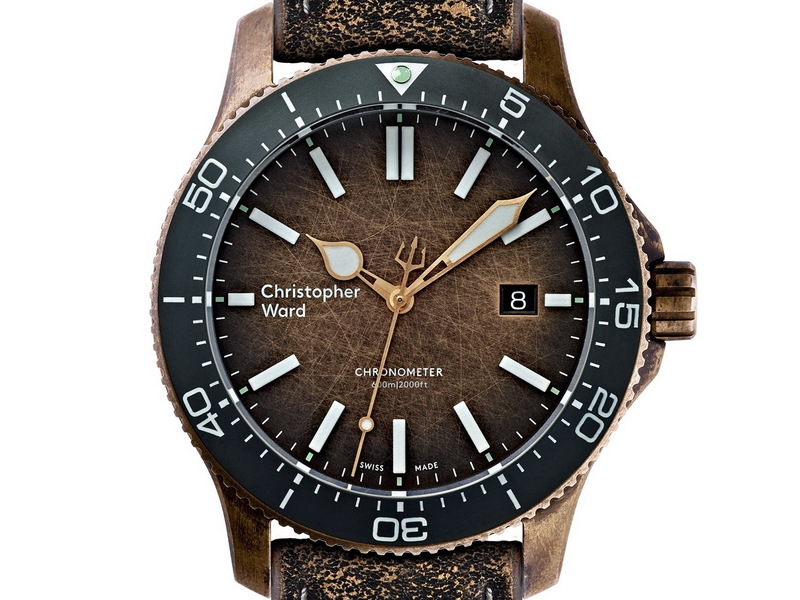 Each has been made from solid brass and hand-finished by artisans with a series of markings (scratches) creating a unique distressed look. 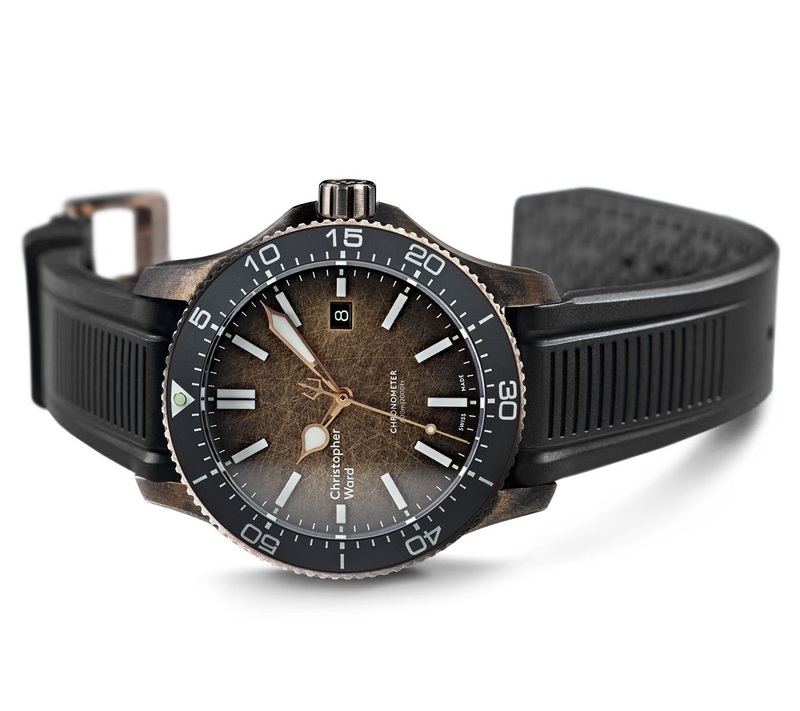 The rough-hewn finish fades into a black varnish around the dial's exterior, gradually blending into the color and texture of the sandblasted ceramic bezel insert that surrounds it. 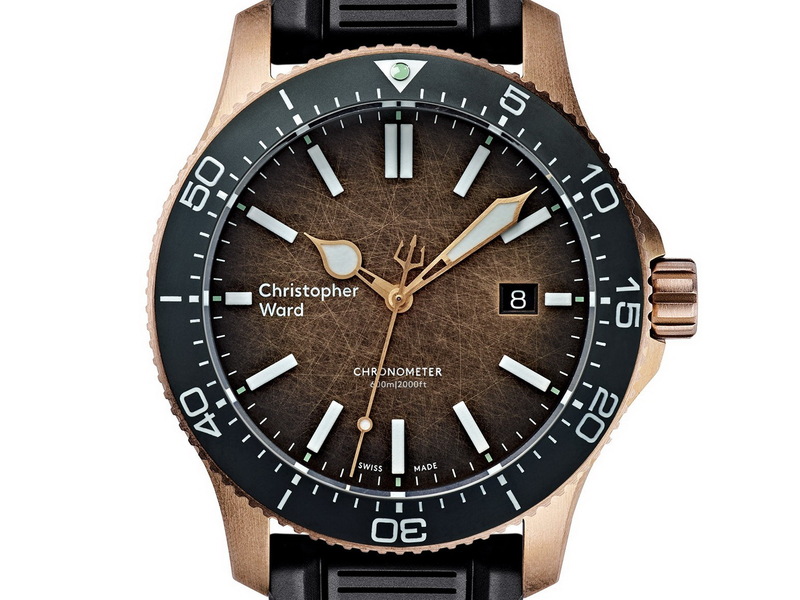 Water-resistant to 600m, and sporting the hallmarks of CW’s bestselling divers family – the CW signature trident appears on the Ombré's second hand counterbalance and is deep-stamped into its Stainless steel case-back. Powering the Ombré is a chronometer-certified version of Sellita's SW200-1 automatic movement which has been tested by the Swiss institute Contrôle Officiel Suisse des Chronomètres. 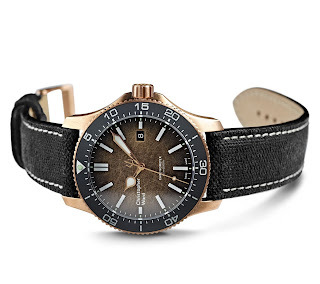 It is accurate to within -4/+6 seconds per day in a number of positions and temperatures, the SW200-1 also features an Incabloc shock system and 38-hours of power reserve. The C60 Trident Bronze Pro 600 Ombré collection includes eight styles allowing you to mix ‘n’ match between raw or patinated bronze in combination with either distressed or original leather, webbing or rubber straps. 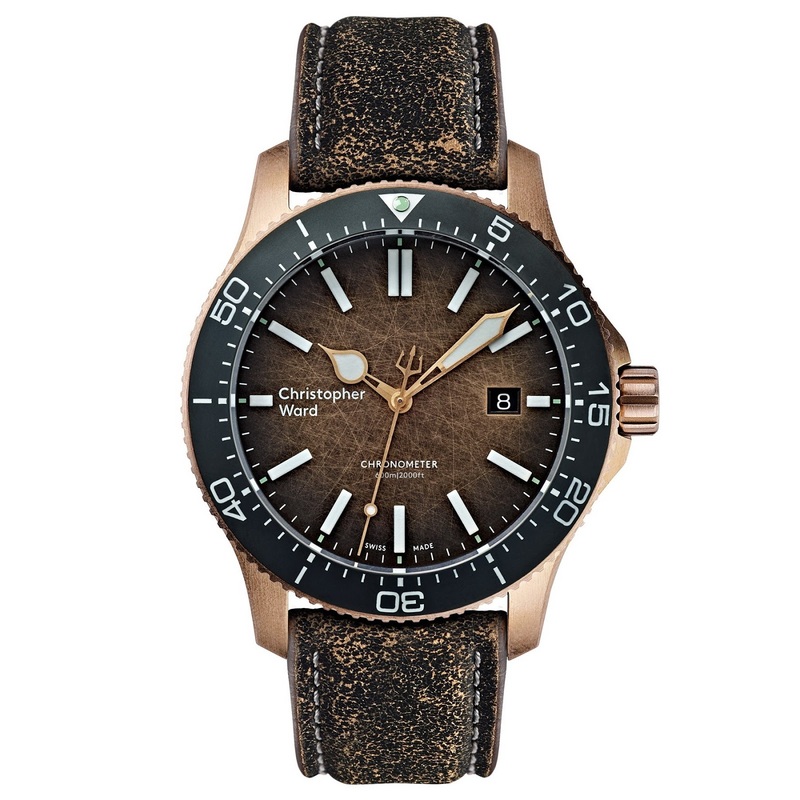 The watches have an MSRP of £995 which extends right across the range. Thoughts? The patinated bronze case, distressed dial and aged leather strap should appeal greatly to fans of wabi sabi but even with the raw bronze on rubber there is still no escaping the dial which is an acquired taste at best.